Lewis Auction & Estate Services - Terms and Conditions of Sale1. A valid driver license is required to register & receive a bid number. By registering and receiving a buyers / bid number you agree to all terms and conditions of Lewis Auction & Estate Services. 2. All purchases must be paid for auction day & within 1 hour after auction has ended. Payment can be made by cash, local check,or credit card. 3.No buyer's premium on personal property.4. Sales tax will be collected unless a valid Texas Resale Certificate or Farm Exemption Certificate is presented at check-in. The item(s) must be agriculture or forestry related, and qualify according to the Texas Comptrollers Office list. 5. All items are sold as is - where is - with no warranties or guarantees. It is up to you the bidder / buyer to inspect all items carefully before bidding and to use your own judgment as to the value & condition of the item. Lewis Auction & Estate Services makes no guarantee of condition, value or year model on any non-titled items or any items sold without a title. Lewis Auction & Estate Services does not guarantee year model on water crafts, all terrain vehicles (ATV), sport utility vehicles, motorcycles or trailers. No refunds. 6. The auction company is not responsible for items advertised that do not make the auction sale. 7. All sales must go thru auction company. Failure to do so may cause loss of buying and selling privilege. 8. The auction company is acting as an agent for the seller only. 9. Unless advertised as an absolute auction, the seller or agent reserves the right to bid. Absolute auction means all items sell regardless of price. 10. State law requires us to not leave titles open on titled items. There is a $15 paperwork fee. This is not a tax, title license& registration fee. You must still take and have registered yourself. This $15 fee only covers the paperwork on our end and mailing fees. Titles will be mailed or can be picked up 20 days after auction. 11. All items MUST BE REMOVED on the day of the auction, unless arrangements have been made with Lewis Auction & Estate Services for pick-up at a later date. 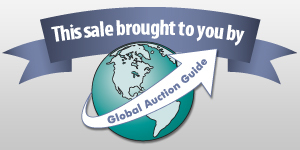 Load out of large items cannot begin until the conclusion of the auction, unless permission is given by auction staff. All items MUST BE PAID FOR IN FULL before load-out begins. 12. The auction company is not responsible for theft - fire - accidents or injuries. You agree to enter at your own risk. Adults are responsible for any person, child or minor with you. If you bring a minor with you, keep them with you at all times, keep them off of equipment & auction items, and remember the auction staff are not babysitters. No pets unless the animal is a certified assistance or therapy service animal. 13. Announcements made auction day supersede all other agreements. Be on time so you can hear the announcements made on auction morning. 14. By attending our auctions, you agree to abide by all terms & conditions of this auction company. 15. We are licensed by the Texas Department of Licensing& Regulation. TDLR PO Box 12157 Austin, Tx. 78711. Daniel Lewis, TX License #17777. Announcement:Information contained herein is presented on behalf of the seller. United Country Lewis Auction & Estate Services, agent for the seller, cannot guarantee the information to be correct or assume the liabilities for errors and omissions. All lines drawn on maps are approximate. Buyers should verify the information to their own satisfaction. Any announcements made from the auction block on day of auction will take precedence over any matter of print and will be final. ERTL 1:43 Batmobile Die-Cast New On Card. Rocket USA Sealed Container 30+ "Freedom Clickers"